A trail of signs was posted along Totem Beach Road leading to the Tulalip Dining Hall on Friday, August 31. 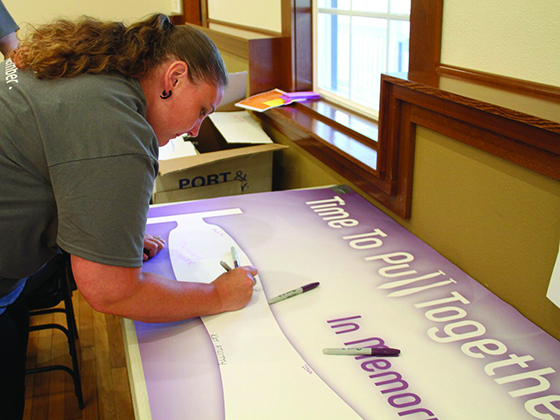 Each sign displayed a single person silhouetted in purple, with the main Dining Hall sign saying, “Each nameless, faceless person represents a life lost to overdose.” Inside, the community gathered on International Overdose Awareness Day to remember lost loved ones, share personal stories and learn more about the opioid epidemic that has claimed more lives than the Vietnam War, in 2017 alone. In their second year hosting the annual International Overdose Awareness event, the Tulalip Community Health department united the people of Tulalip while shining light on a serious topic. The theme for this year’s event was Time to Pull Together and participants were invited to write personal messages to any friends or family members who lost their life due to an overdose, on large posters displaying traditional cedar paddles. Gasps were heard from around the Dining Hall as the Chief shared this statistic. Event participants were shocked and shared a look of disbelief. Chief Pruitt also explained the Good Samaritan Law to the participants. The Tribe adopted the law back in 2014 after Lois Luella Jones died from an overdose. Authorities believe her life could have been saved, but in fear of arrest, her peers failed to contact emergency responders. Community members shared stories of addiction, heartbreak and loss from substance abuse. The Health Department also held a Narcan training for the community so they know how to quickly revive someone who has overdosed. The training was led by Gina Skinner and Jane Jacobson who explained in detail how the Narcan nasal spray works. 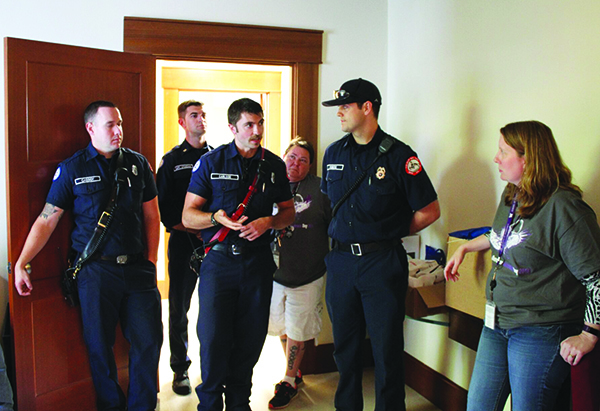 The Tulalip Bay Fire Department joined the trainers to give insight on their procedure during overdose emergencies and how they utilize Narcan. Each participant who attended the training received a free Narcan kit. 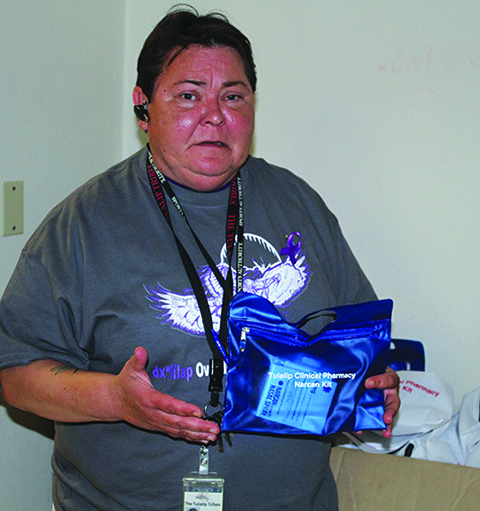 Tulalip community members are encouraged to pick up a kit of their own, free to Tulalip tribal members at Tulalip Family Services and available to community members through their insurance at the Karen I. Fryberg Health Clinic pharmacy. For more information, please contact the Tulalip Community Health Department at (360) 716-5622. This entry was posted in Health, News, Top Story, Tulalip News and tagged Narcan, overdose awareness, Tulalip, Tulalip Community Health by Kim Kalliber. Bookmark the permalink.